You don’t have to be a behaviour geek like me to have heard of a recent study that proclaimed dogs preferred praise over treats. 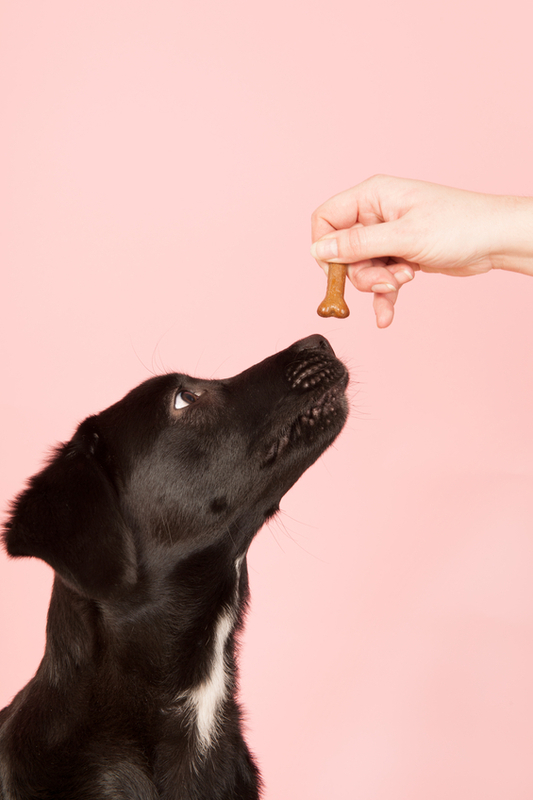 If you haven’t, the following article from The Bark magazine by noted Applied Animal Behaviourist Karen B. London explains it best: https://thebark.com/content/study-dogs-preferences-praise-versus-treats. Reward: something given or received in return or recompense for service, merit, hardship, etc.. Reinforce: to strengthen the probability of a response to a given stimulus by giving or withholding a reward. So just because you offer a reward doesn’t guarantee that you’ll be strengthening the reliability of any behaviour. For example, if Rover gets a cookie when he sits but he keeps jumping on you instead it’s because the attention he gets when jumping is more reinforcing than the reward you offered him for sitting. Positive Reinforcement based training works. But only if you understand what your dog values most at any given time. If you don’t see him getting better at something, don’t assume he’s stubborn or possibly just a lemon. Start by re-evaluting how he might be getting reinforced (or not). Don’t assume that because your dog eats something that he finds it reinforcing in any way. Some foods are just more valuable than others. Yes, I know your retriever will eat rocks but just because he eats them doesn’t mean he will be motivated to work for them when there are more interesting distractions around. Similarly, just because Precious turns her nose up at the food you put in her dish doesn’t mean she isn’t food motivated and would prefer praise. It just means she doesn’t value that food. This isn’t dog-specific stuff either. For instance I really love french fries. Except when I’ve eaten poorly all week, then I am more excited about a fresh salad. A cool mango smoothie is my reward after a hard gym workout but it wouldn’t appeal to me at all after a hike on a cold winter’s day. You get the idea. Your dog may love praise from you, but not from a stranger. Your dog may go bonkers for a game of tug or fetch, but not when he is tired or it’s hot out. I recently worked with a golden retriever who loved food rewards inside, but at the park there was nothing more exciting to her than a big drink of water so that’s what I used to reward her for coming to me (and no, she was in no way deprived, she just REALLY LOVES water!). What about patting your dog as a reward? I meet a lot of people who insist that their dog prefers pats over all else. But do their dogs agree? If you’ve ever given Rover an affectionate ‘pat-pat’ on the head for a good deed, did you notice how he reacted? If not, try it now. Does he lean in or duck his head/turn it slightly away? If it’s the latter, he’s telling you he doesn’t love your pat-pats on the head (many dogs don’t). He may not object strongly but does it reinforce the behaviour as you intended? Probably not. No study is going to tell you how best to reinforce your dog’s behaviour. One of the most beautiful things about positive training is that it gives you an opportunity to really observe your dog, understand what makes them tick and learn how to set them up for success.